Florida E.N.T. and Allergy (St. Petersburg) - Book Appointment Online! At Florida E.N.T. 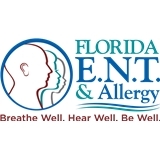 and Allergy, all of our professionals are Board Certified and experienced to provide you with the best healthcare related to your ear, nose, and throat issues. We want you to trust that you are getting the highest quality care each time you come to see us. If you experience ear, nose, or throat problems, you need an otolaryngologist who is experienced, understanding, and supportive. It was like, a home away from home the people are soo caring, kind and very professional and very helpful. They took great care of me from start to finish. Dr. Saeks what a wonderful Doctor and his asst. Ms. Sindy is so wonderful she was like my own personal asst. I love her. The staff was just great. I am soo thankful to have had the chor to be cared for by their staff. As always, Dr. Baines was professional and patient. She answered all of my questions and made me feel like I was important. My son and I have been going to Dr Boothby for over 15 years and have both had surgeries performed by him. He has a sense of humor, which many doctors lack, so we absolutely love him. This practice sees patients at 13 locations.